Images for the UCP204-12BT Bearing are for representation purpose only. Actual product may differ. 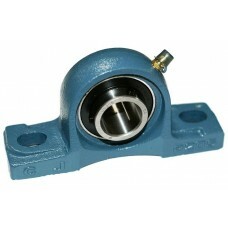 This pillowblock bearing is standard except the grease fitting is on bottom of block. Bearing is used in salt and sand spreaders. 3/4 bore with zert fitting on bottom.